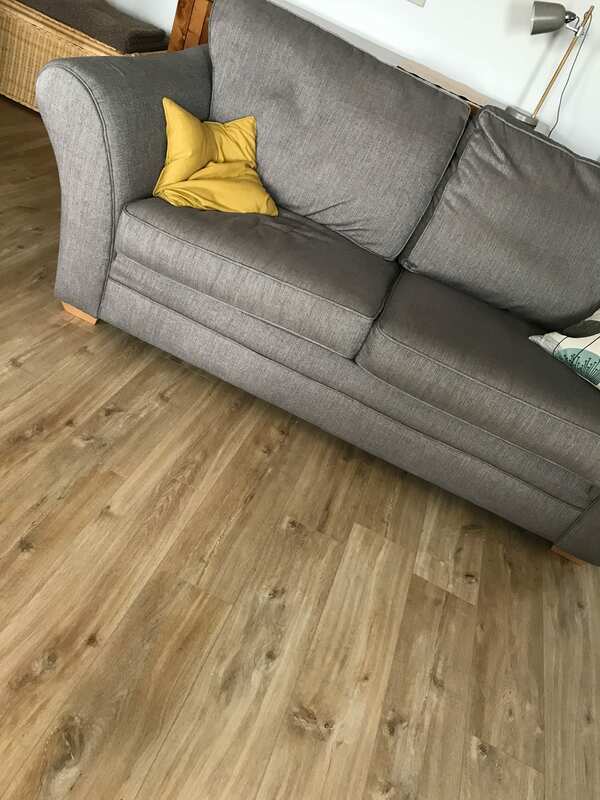 Existing carpet and flooring customers returned to the showroom wanting new flooring for the living room and hallway at their home in Teignmouth. 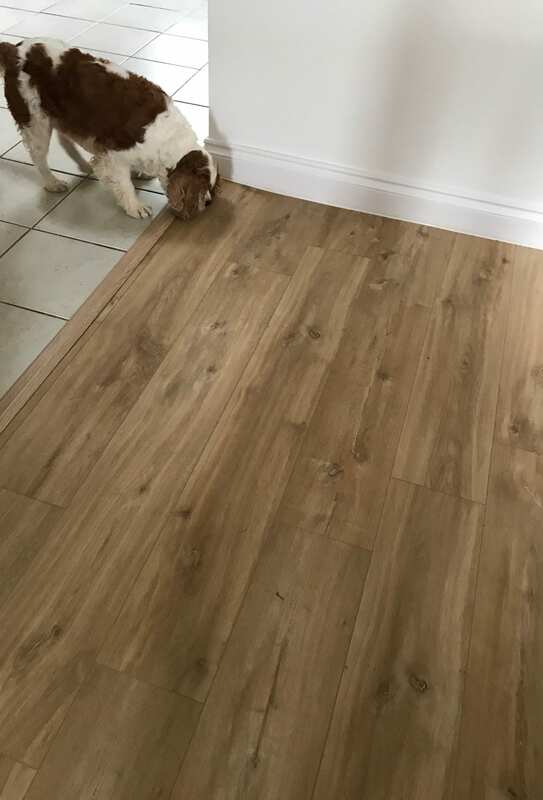 With a wood effect flooring look in mind the options we showed them had to be suitable for a dog that didn’t like the surface of laminate. 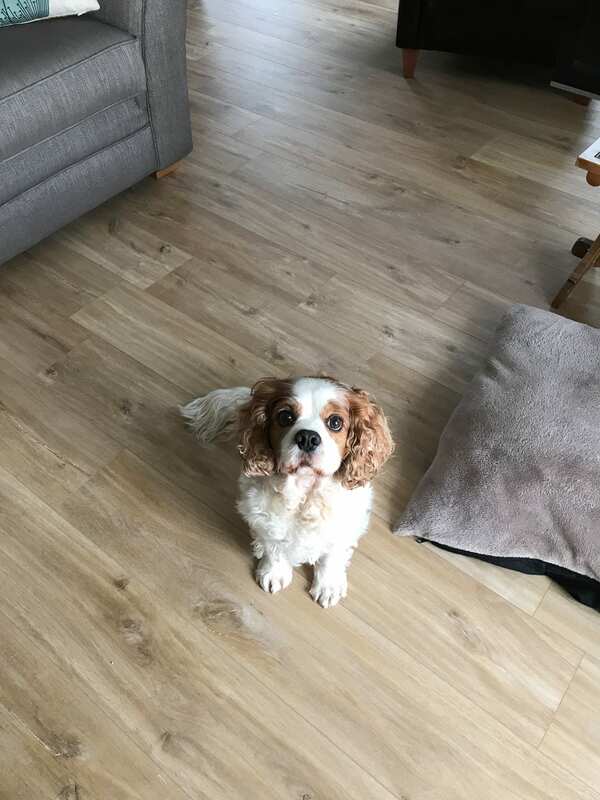 Bearing the very important four legged member of the family in mind, we discussed opting for a luxury vinyl tile/plank (LVT). Being durable, easy to clean and waterproof, would mean dog hair and hygiene would be of paramount importance. We completed a home survey and suggested the Quickstep Livyn Click range. After several trips with various samples being taken away, and a little help in deciding from our four legged friend, the unanimous choice was Balance Canyon Oak Natural. For the shower room the customers wanted something a bit different. Choosing a cushion floor from the massive selection of brands and ranges available from us they opted for Leoline Luxury Woods Memphis, giving the room a retro timber effect flooring which looks great!